Have you ever had a project to do with plenty of time to get it done, yet you just couldn’t bring yourself to get around to doing it? Until, of course, the deadline was upon you. Though you may have broken into a sweat of anxiety, you finally buckled down and focused, and knocked the project out of the park. Why, you asked yourself, couldn’t you have harnessed that concentration earlier instead of waiting until you felt the stress of the impending deadline? Maybe it was because the stress, while somewhat anxiety-producing, wasn’t bad stress. When we think of stress, we typically think of it as a negative. The kind that brings on tension headaches, sleepless nights, and ulcers. But stress can be a galvanizing emotion that gets us moving toward completing our goals. Stress occurs when an event triggers a fight or flight response in the brain and body. Initially, stress can provide focus. That surge of adrenaline you experience before a presentation can help you think on your feet and answer the toughest questions. Stories abound of people who demonstrate superhuman strength in an emergency, enabling them to lift cars off of people trapped underneath. Stress can also help the body. 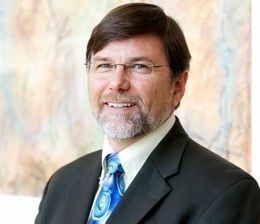 An article in the Stanford University School of Medicine newsletter says stress can also boost the body’s immune system during surgery, healing, infection, or even cancer. But too much of a good thing can be bad. Although stress, in small doses, can be beneficial, when it occurs chronically, it wears on the body, eventually damaging it. Constant stress can lead to heart disease, sleep problems, depression, weight gain, and memory and cognitive impairment. The key to managing stress is to have enough good stress but not enough negative stress. Dr. Peter Nixon, a British cardiologist, developed a diagram called the Human Function Curve that elegantly illustrates the balance of good and bad stress. 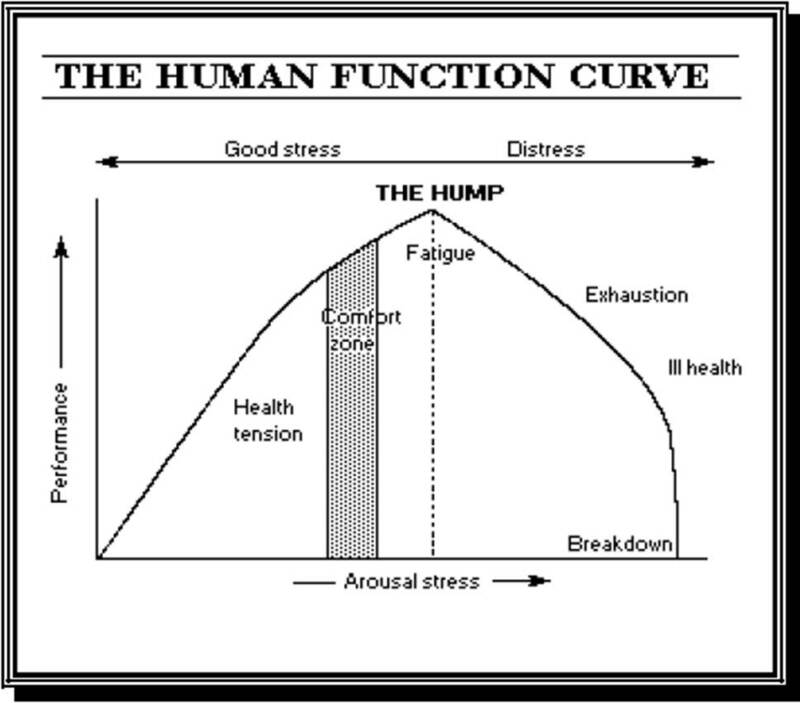 In the diagram, it’s easy to see that stress, in the form of healthy tension, can improve performance, but when the stress level reaches the peak (here called “The Hump”), fatigue sets in and distress begins, followed by exhaustion and ill health. Exercise. It increases endorphins in the body that stimulate the immune system, reducing stress. Keep a positive attitude. Research indicates that people who look at life more positively are less affected by negative stress. Focus on one task at a time. Multitasking can bring on stress. Taking care of one job at a time can provide a greater sense of accomplishment and decrease feelings of being overwhelmed. Stress is inevitable in our lives, but by learning to recognize it, and knowing whether it is helping or hurting, we can keep it in balance so it’s beneficial. I was intrigued after reading this post and read the lengthy book description on Amazon where the idea was suggested- it’s not what disease you have, the question is why you have it. As a person healing through Chronic Lyme Disease, I have to go beyond treating the Lyme. 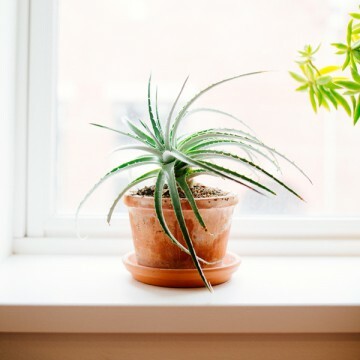 What underlying issues cause some to get Lyme and others not? Cancer? Diabetes? I’m excited to hear what Dr. Sult has to say about vibrant, whole wellness. Thanks for this post! I’ve passed along your question to Dr. Sult, but I think the answer may be too complex for a comment here. Perhaps he’ll be able to write a full article on this topic in the future. Thanks for your feedback.